I would need some expertise in geology! 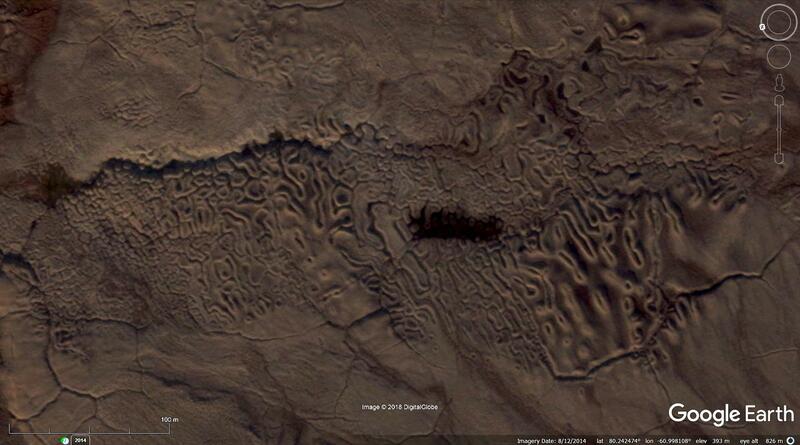 what causes such surface around here, NW Greenland? has this feature got some special name? many more (even better) examples can be spotted all around.